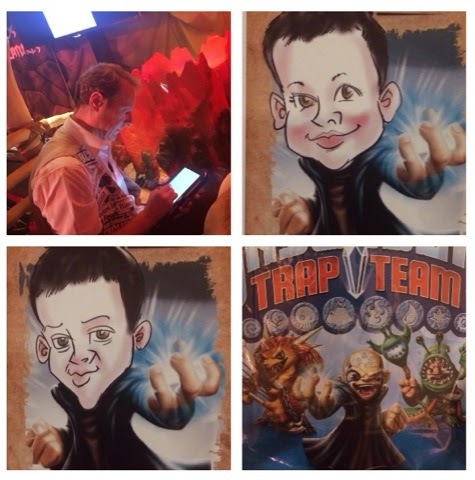 A couple of weeks ago we were lucky enough to attend the awesome launch party of the New Skylanders Trap Team. 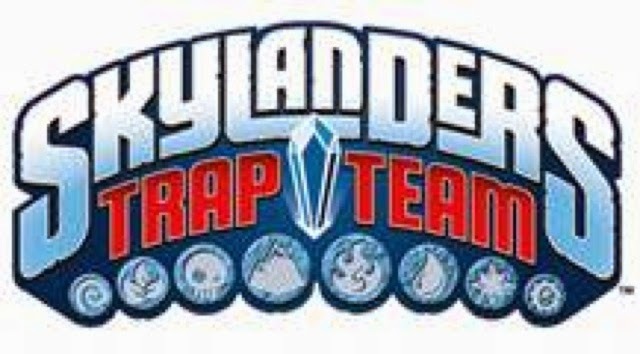 Skylanders continues in the awesome brand new Skylanders Trap Team game, as Kaos attempts to fulfill his ongoing quest to rule over Skylands and it will be up to you to defeat Kaos and trap his villainous friends. 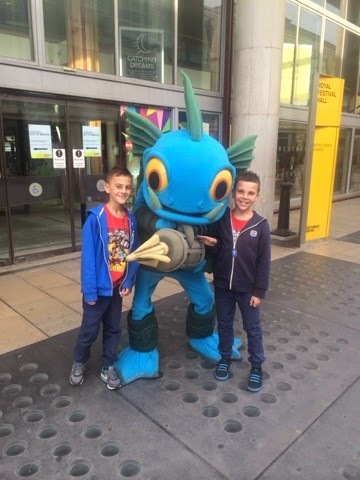 When we arrived at the Royal Festival Hall in London and we were greeted by the awesome Gill Grunt. 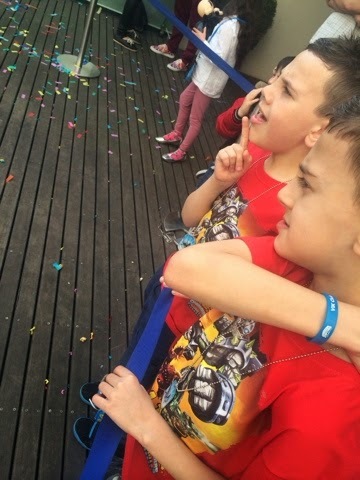 We were pleasantly surprised and we entered into the amazing party which was already full with parents,gamers press and a host of celebrities. 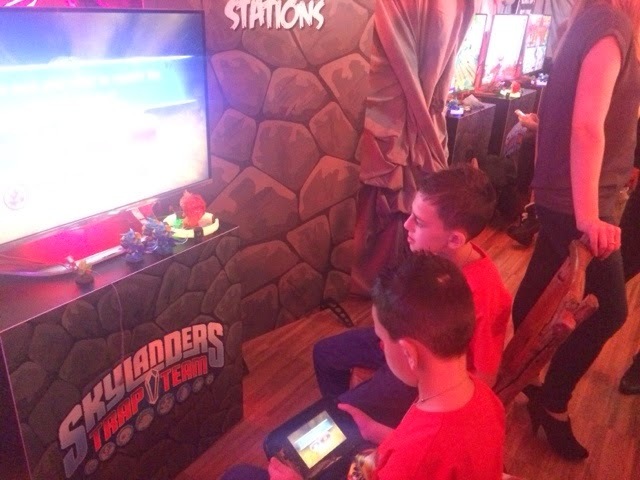 We were transformed into the world of the Skylander's as we mingled and enjoyed the company of our fellow Skylander fans, and of course no Skylander launch party would be compleate without some serious game play of the awesome new Skylanders Trap Team. The boys couldn't wait to get stuck in for some amazing Trap Team game play, totally awesome. 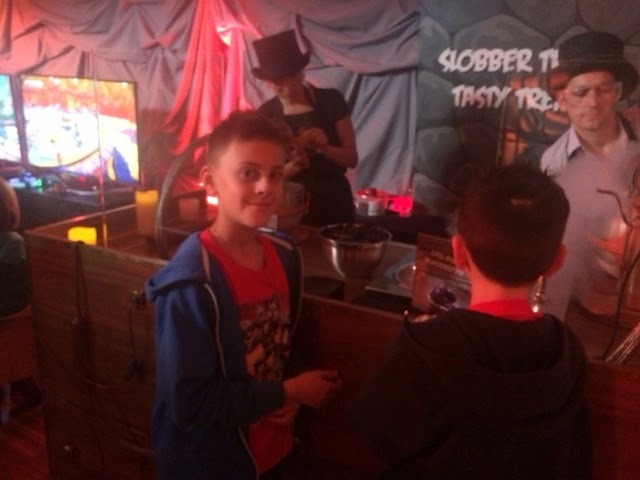 Not only was we delighted to play the new Skylanders trap team, but we were treated to some amazing ice cream, sweet treats and tasty drinks. It was amazing. 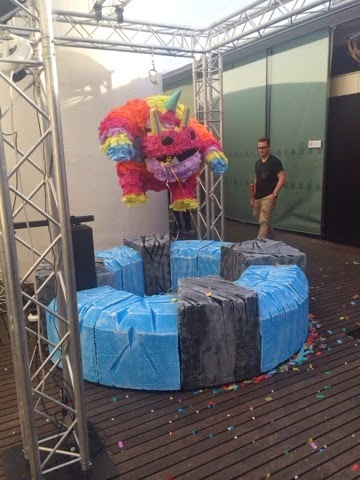 The boys really love the Skylander piñata, each tweet sent, led the an electronic hit of the piñata, it was awesome as we watched the piñata shake and crumble, eventually releasing it's goodies. 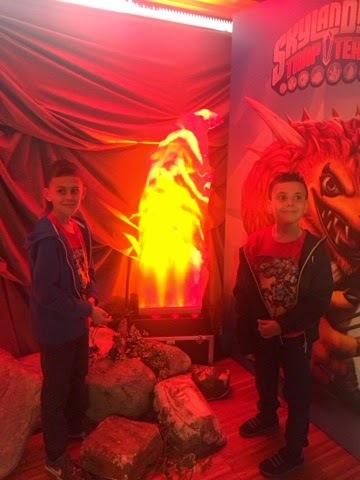 A real treat was the boys having their caricatures done, as they were transformed into the ultimate Skylander baddie Kaos. 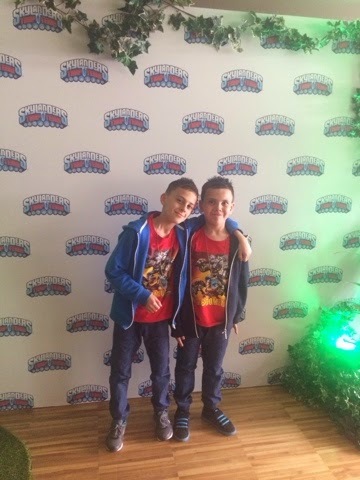 We had the most amazing time a the Skylanders Trap Team Party, As we now excitedly await our very own delivery of Skylanders Trap Team, we very much look forward to having the Skylanders Trap Team adventure in our own home.